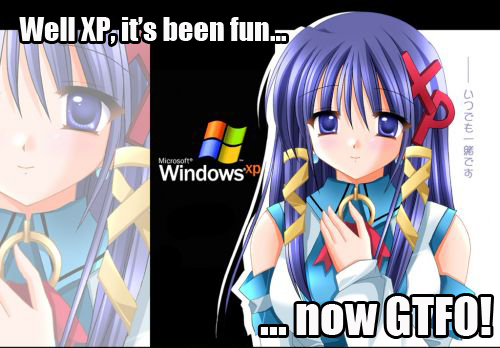 In 2 years, Microsoft is planning to end support for its popular operating system, Windows XP. That means there won’t be any more patches to fix vulnerabilities that could let malware into computers using XP, and this has some security experts concerned. There are many people and companies that are not willing to upgrade, and this means that millions of computers around the world could come under attack, or even worse, become taken over by botnets to attack even more computers. There are many reasons people are not willing to spend money on upgrading, including folks that use the home computer for simple tasks such as e-mail and little else, and companies that use custom versions of XP that would be difficult to replace. Even worse, there are going to be plenty of people that don’t even know support for XP will expire. Computer geeks around the world, it’s time to do your part and shame noobs around the world that won’t upgrade of use a Linux distro.